Blockchain is a distributed and decentralized database, which is existed in multiple computers. Blockchain will support the digital currency. If you are seeking for the best Blockchain online courses, this is more advantageous place to select the course. Here you will come to know the mechanism and structure of Bitcoin, Multichain, Ethereum and Hyperledger blockchains. You will understand the basics of Blockchain, Smart contracts, Decentralized applications and Blockchain platforms. You will come to know about cryptography, cryptocurrency, digital signatures, distributed networks, Bitcoin transactions, Ethereum ecosystems and so on. There are many online courses to learn Blockchain, from those our panel of experts selected some best courses which are listed below. Hadelin Ponteves, Kirill Eremenko and SuperDataScience Team are the creators of this course called Blockchain. Hadelin is an Artificial Intelligence Entrepreneur and implemented some Machine Learning Models for Business analytics and he has trained nearly 414k students. Kirill is an Data Scientist with 5 years of experience in retail and Transport Industries and he has nearly 610k students. SuperDataScience Team published some of the courses like Blogs, Podcasts and more. This team has nearly 566k students. More than 17k students are enrolled to learn this course. They teach you in simple manner and if you have any queries regarding to this course you can ask your queries and they will be available 24/7 in live chat. By the end of the training they will provide you a certificate. This team offers you 15 hours video and 9 articles with full Lifetime access. First they explain you about introduction to Blockchain and creation of Blockchain. Creation of Smart Contracts also be learned in this course. They make you to understand the concepts of Distributed P2P Network, SHA256-Hash, Immutable Ledger and Byzantine Fault Tolerance(Dependability of a fault tolerant computer system). You can learn how to create Cryptocurrency and its applications, creation of Smart Contract also be learned in this course. 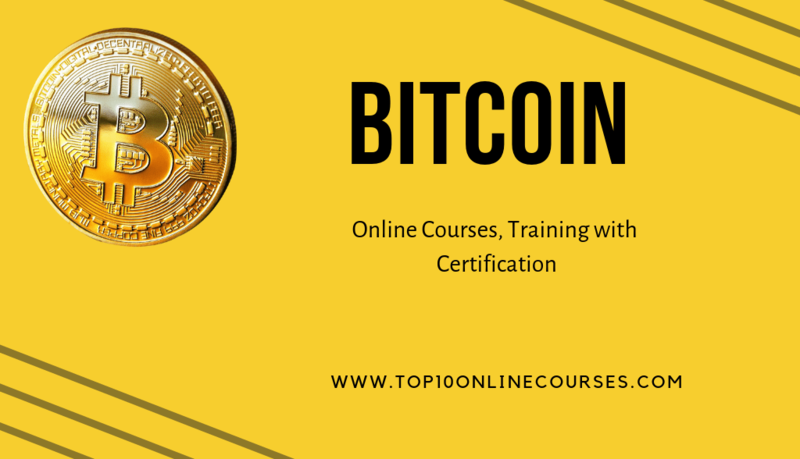 Some of the topics like Bitcoin, Mining Pools, Virtual tour of a Bitcoin Mine, Orphaned Blocks, Ethereum, Alt Coins like Cardeno, Neo and Stellar Soft and Hard Forks and how it was working also be learned in this course. This course makes you learn working of Wallets and about Hierarchical Deterministic Wallets(HDW) and they discuss about Segregated witness(SegWit), Decentralized Applications(Dapps), Decentralized Autonomous Organization (DAOs) and Initial Coin Offering (ICOs). The State University of New York and University at Buffalo are the creators of this course called Blockchain Specialization. Highly Experienced teaching Professor Bina Ramamurthy teach you this course. Here more than 468k students are registered for this course. If you have any queries regarding to this course you can ask them and they supports you and clear your queries. Course completion certificate is given after the completion of your training. Some other courses like Solidity Programming, Peer-Peer Transactions, Algorithm and Blockchain Transactions. By using Ethereum Protocol you can learn how to develop the Applications and Programming. The basic topics of Blockchain and its components BlockHeader are learned in this course. Creation of Nodes and Accounts are learned in this course and you can how to work with Virtual Machine Image and Blockchain Transactions. They teach you the Operational aspects of Blockchain Bitcoin, Techniques using algorithms, Consensus Protocol and how the Payment Model is used to execute the code. The basics of Smart Contracts and Solidity, using of Smart Contract they makes you learn how to design a solidity Programming also learned in this course. Development of End-End Decentralized applications and Truffle Commands like Compile, Testing Dapp and Parameters are learned in this course. You learn some of the concepts like Application Models, Microsoft Azure’s Blockchain, Hashgraph, Scalability, Dapps Platforms, Interplanetary File System(IPFS) and Solidity Features. You will understand about the blockchain, block mining and its transactions. You will also learn how to design, coding, deploying and executing the smart contract. 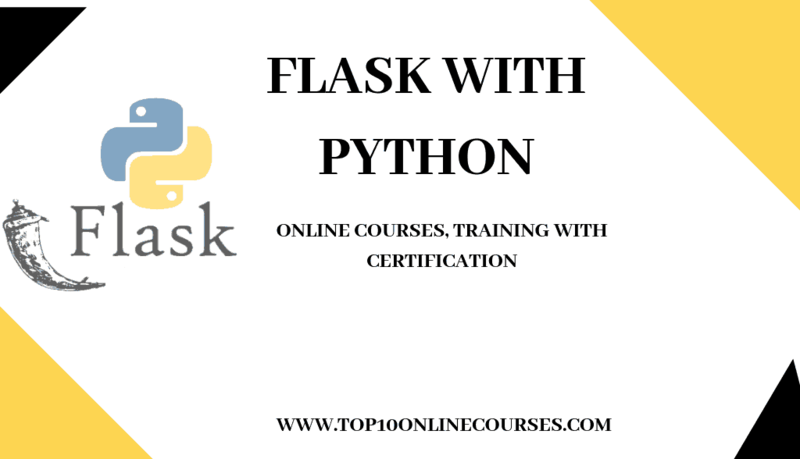 Edureka is the creator of this course. At Edureka well experienced trainers with 12 years IT experience teach you the concepts in a simple method. Some of the topics like Ethereum, Hyperledger Composer and Multichain Platforms. After getting trained in this course you will become as a Blockchain Developer. At the end of the course you will get course completion certificate. If you have queries regarding to this course you an ask this team they will help you and clear you queries and they available you 24/7 in live chat. You can learn how to create Business Network and how to develop Smart Contracts by using Solidity Programming Language you can learn. In this course you learn about Blockchain Ecosystem, Structure of a Blockchain, Key Vocabulary and Blockchain Technology working. This team teach you how to sell and buy Bitcoins and storing of Bitcoins. In Bitcoins concept Scripting Language and its applications also be learned in this course. Creation of Paper Wallet, how to set up Bitcoins, Cloud Mining working with Bitcoin, Use of Algorithm in Mining and centralizations also be learned in this course. Bitcoin Mining Software installation, Ether types and Optimization are explained in this course. Ether Transformation, public and private Blockchains, use of Libraries, Application Model and Debugging of Ethereum also be learned in this course. Some of the concepts like Global variables, Network Topology, Hyperledger, Round Robin Mining, Transaction MetaData, Inheritance, Native Assets, Hyperledger Fabric Model and Exploration of Frameworks also discussed in this course. By using Cryptography you can learn how to create the units of Bitcoins and How Bitcoins are transferred by verifying between Parties. In the Bitcoin Mining by using SHA-256 Hash Function they make you learn how the Block is secured on the Bitcoin Blockchain. You can learn how Bitcoin is started and how it was came in to existence and more about Bitcoin Key Concepts. Uses of Blockchain Tokens also called as Digital Tokens and the value of Blockchain which includes Cryptocurrency and Smart Contracts. In Blockchain Technology DAOs and DACs are most important concepts are explained in this course. Bitcoin Cash is an newly created Cryptocurrency and working of it to Bitcoin also learned in this course. Some of the topics such as Merkle Trees Data Structure, Bitcoin Wallet, conversion of Bitcoins in to Local Fiat like dollars, Hash Functions and more. 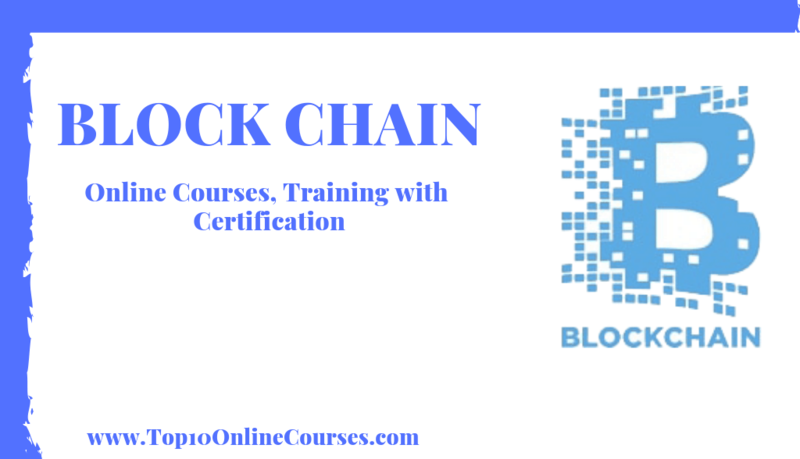 Simplilearn is the creator of this course called Blockchain. Here more than 425 students are registered for this blockchain certification course. This team explain you in a simple method to understand you the concepts. If you have any queries regarding to this course you can ask them to clear your queries and they will be available 24/7 in live chat and supports you. At the end of course you will gain course completion certificate with your name. Some of the technologies like Multichain Blockchain Platforms, Ethereum and Hyperledger. You can learn the development of Blockchain environment, Structure of Blockchain Blocks, Technology of Blockchain Mechanisms and P2P Systems in blockchain. In HTML concepts like Images, Style Attribute, Line Break, IFrames, Block Elements and Headers and in CSS topics like Background Colors, Text Formatting, Padding, Text Formatting & External Style Sheets are discussed in this course. This team explain you how to code for Blockchain environment by using Ethereum and by using Composer you can about Hyperledger Fabric and its importance. Some of the concepts such as Grid Layouts, Error Handlers, Nodes, Registries, Private Consortium, Ethereum Networks, Bitcoin Mining and Custom Card Groups are discussed in this course. There is a huge demand for Blockchain in the job world. By learning the Blockchain you will get many job opportunities like Blockchain developer, Blockchain engineer etc. If you like to do this Blockchain online course, you can select the best course from the above listed courses. From this course will learn the concepts like transaction metadata, round robin mining and you will understand how to set privacy, permissions in multichain Blockchain, Hyperledger architecture, application model, network topology, applications of Bitcoin script, nodes and networks in Bitcoin etc. You can add this certification in resume. If this article is helpful to you, then it with your friends, co-workers and also in twitter, facebook, linkedIn.